Deadpool is a character that is all too familiar to controversy and treading the line of decency like Philippe Petit tiptoeing across the spanse of the Twin Towers in 1974. But, after initial screenings of Deadpool 2, many believe that a particular end credit scene was more than crossing the line. So much so that the film makers have taken it out of the theatrical cut which debuted this week. According to MCU Cosmic, the cut scene features Deadpool pacing inside a maternity ward near one baby in particular. Upon further inspection, one can see that the name on the baby’s card is “A. Hitler”. As the baby begins to cry, Deadpool laments, “Shut up, Ira, you’ll thank me someday!” before CHOKING THE BABY TO DEATH! And, during the choking, the perspective changes to that of the baby’s, so the audience is then “experiencing” the asphyxiation. Wade Wilson may be the wise cracking, 4th wall breaking, R rated Merc with a Mouth, but this does seems to push him beyond his very thin line of morality. Whilst the true premise of the scene is a whole hearted yet half thought out plan to help save the lives of literally millions from humanity’s greatest villain via wonky time travel, people just could not accept Deadpool strangling a newborn with his hands. Due to this reaction from the screening, the scene has become cutting room fodder (although it may end up on the Blu-Ray, but only time will tell on that). The end credit scene that has remained seems tame in comparison, but tame is not always a bad thing in a jungle of absurdity and comedic crudity. 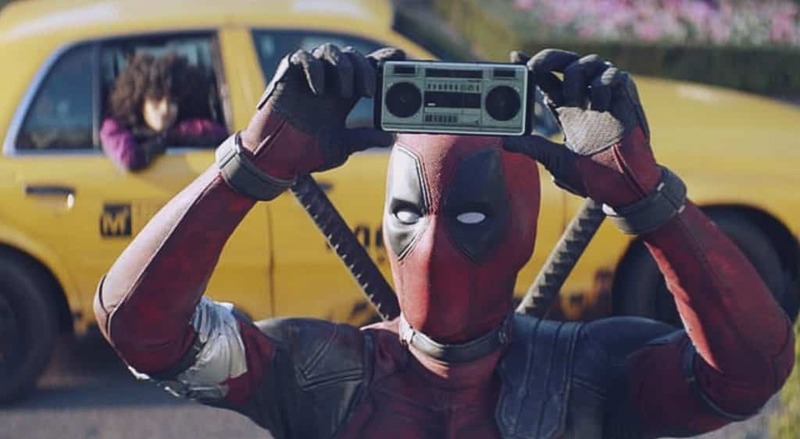 Deadpool 2 has already premiered to critics to mostly rave reviews, many of them claiming it is even better than the first. This will be a true feat, considering the massive success and all around love to Ryan Reynolds‘ 11 year labor of love that is the first Deadpool film. What do you think? Should the cut scene have been left in the movie? Be sure to tell us your thoughts in the comment section down below!